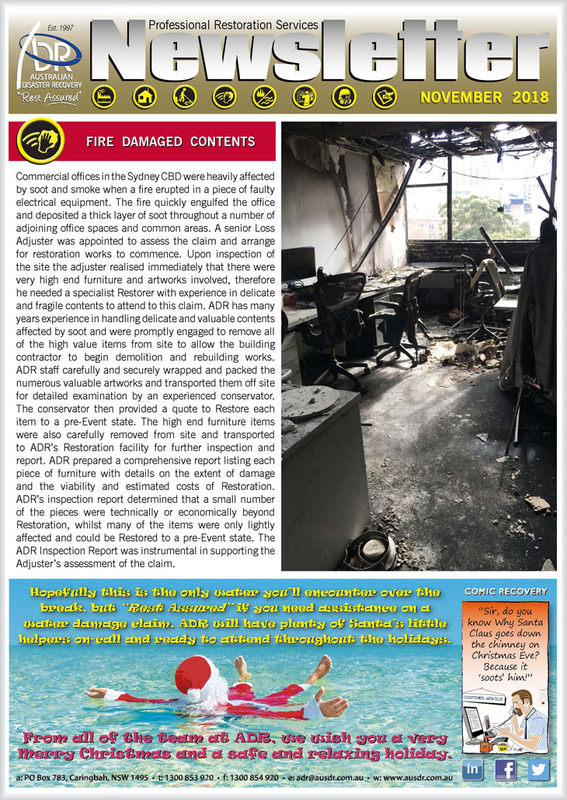 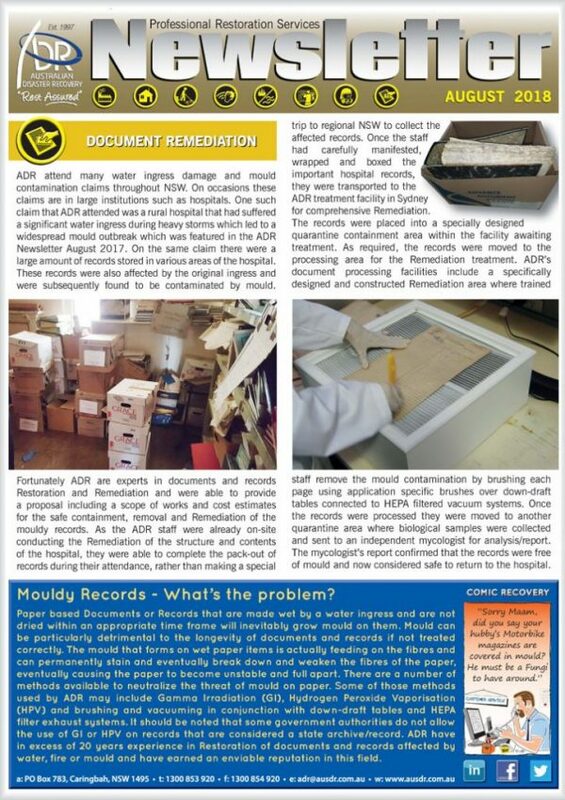 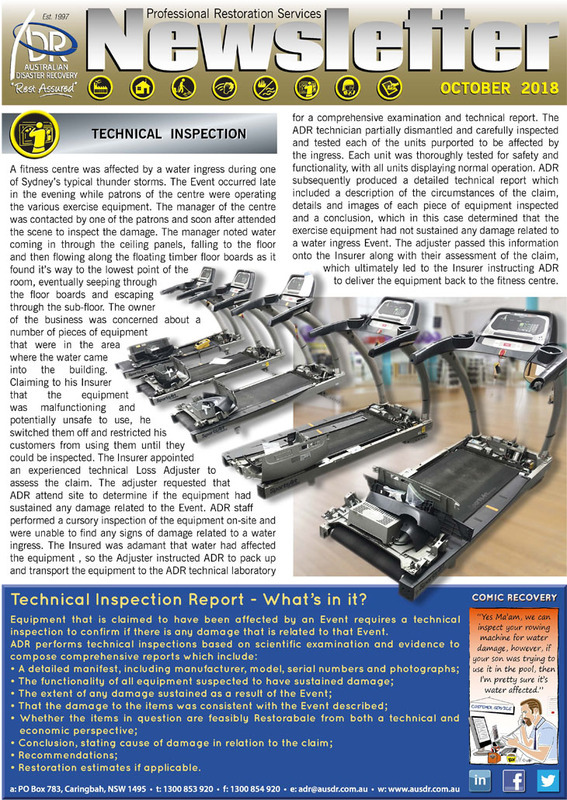 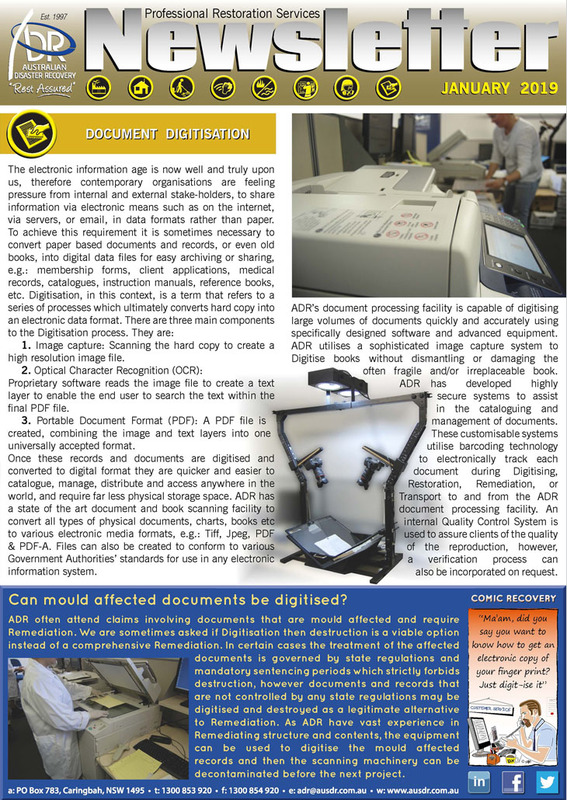 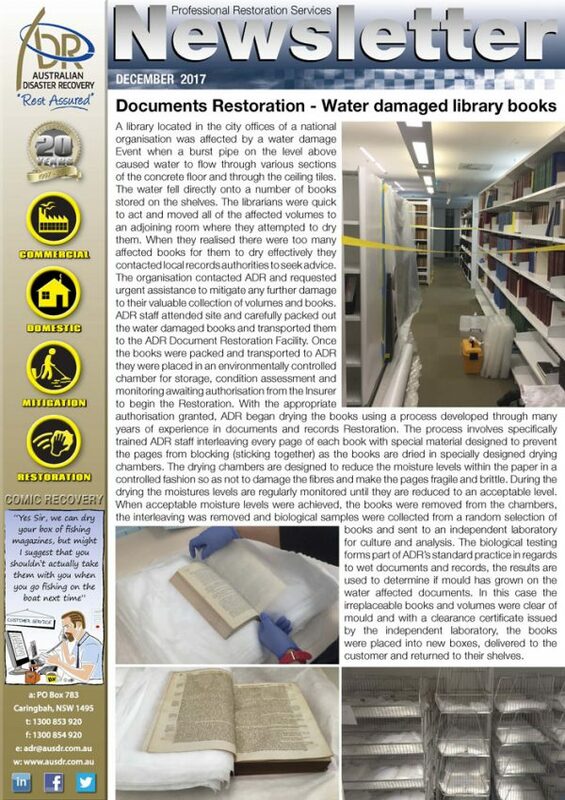 The ADR Newsletter is a monthly single page publication. 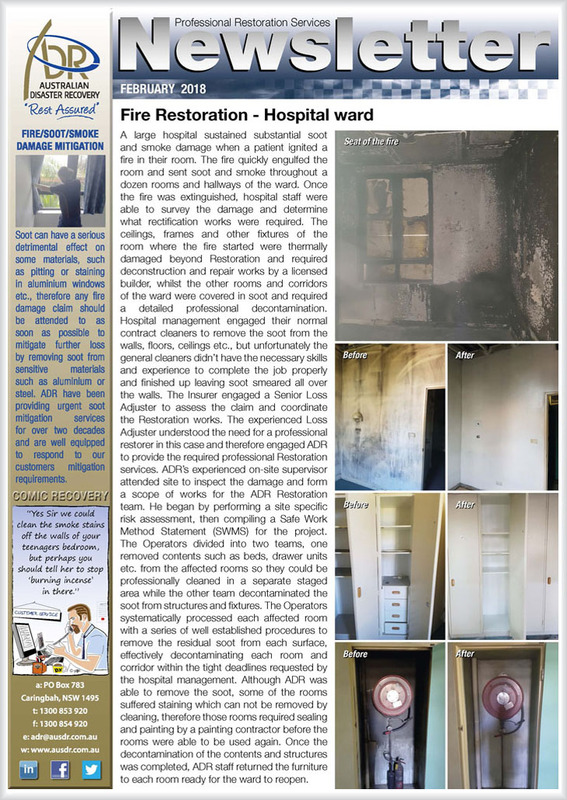 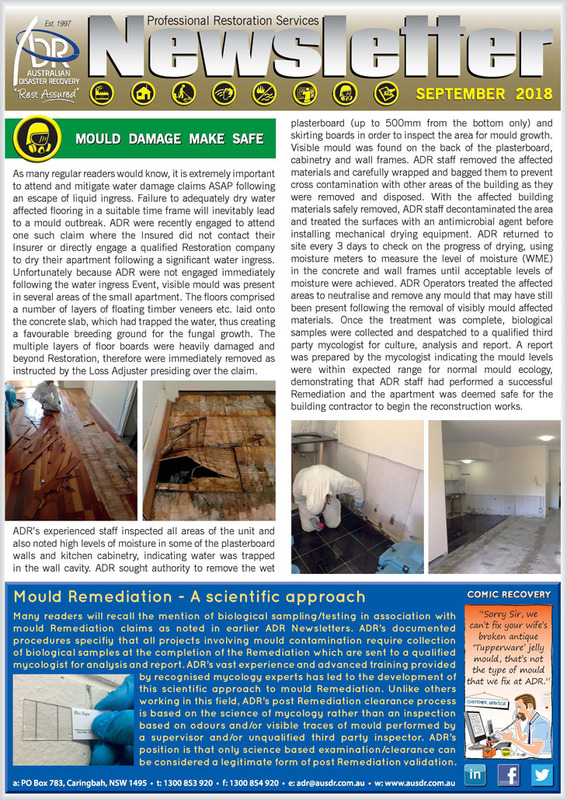 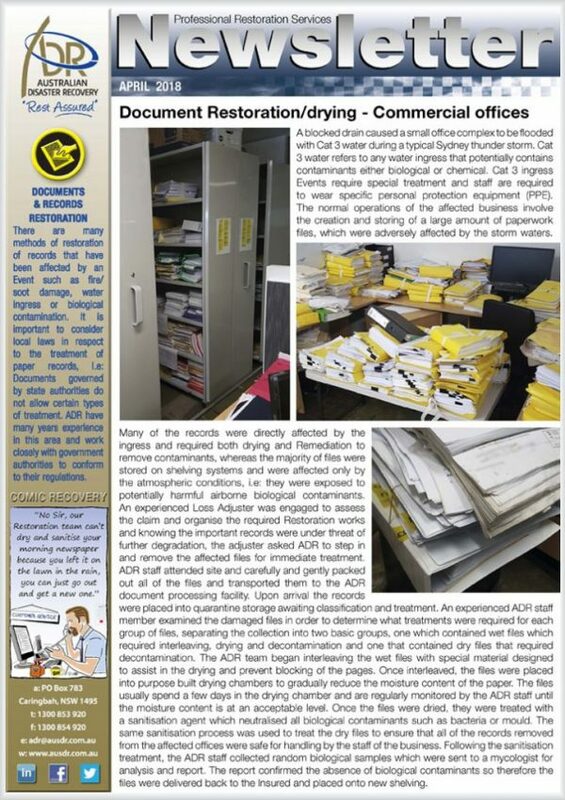 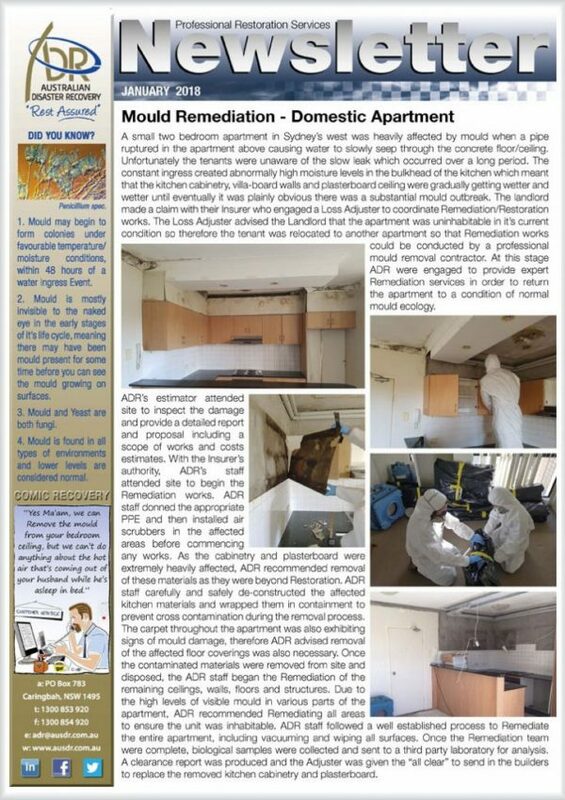 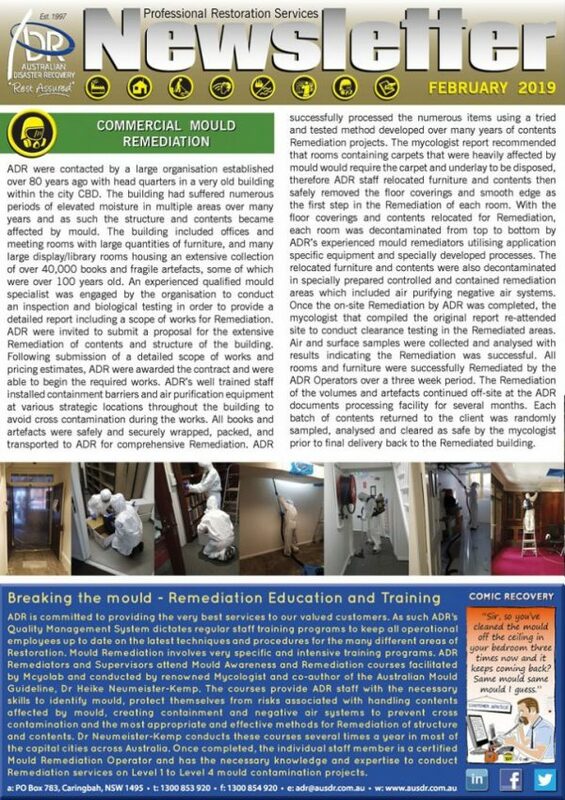 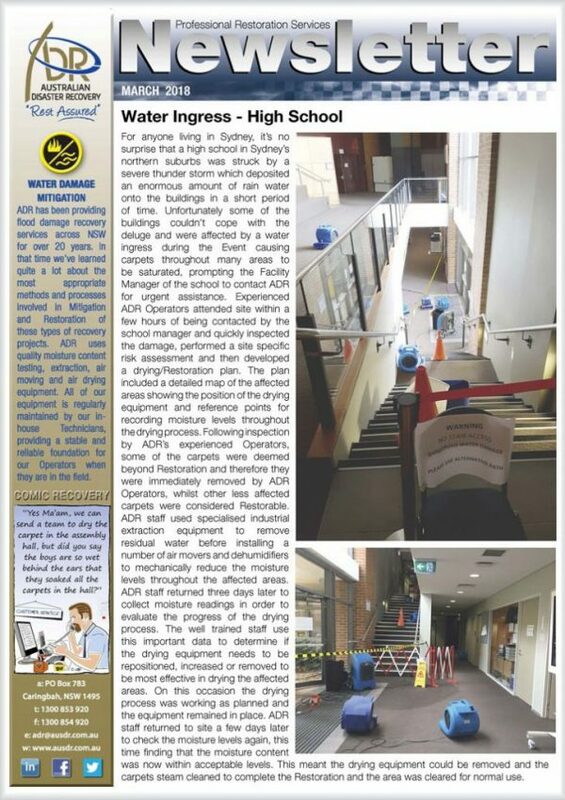 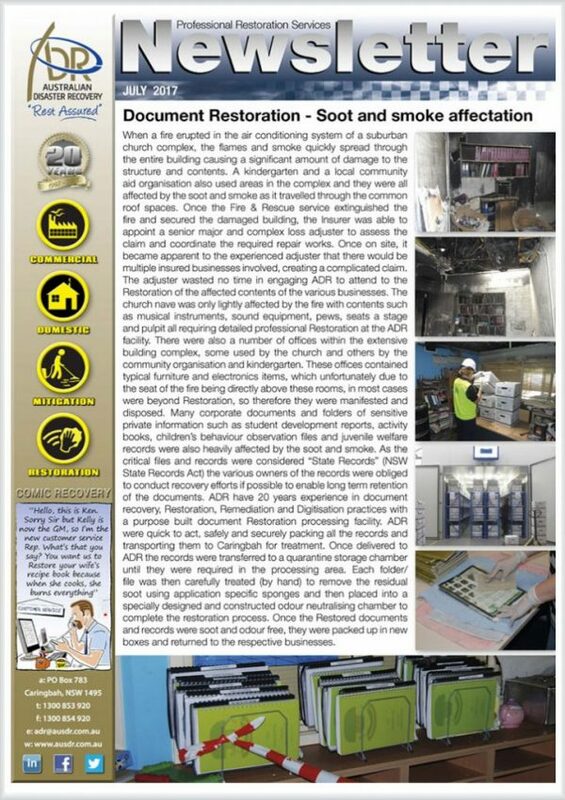 Most Newsletters take less than 10 minutes to read and are designed to give the reader an overview of the many and varied types of successful restoration projects ADR has undertaken. If you would like to receive the Newsletter in your in-box each month please use the subscription form to submit your details. 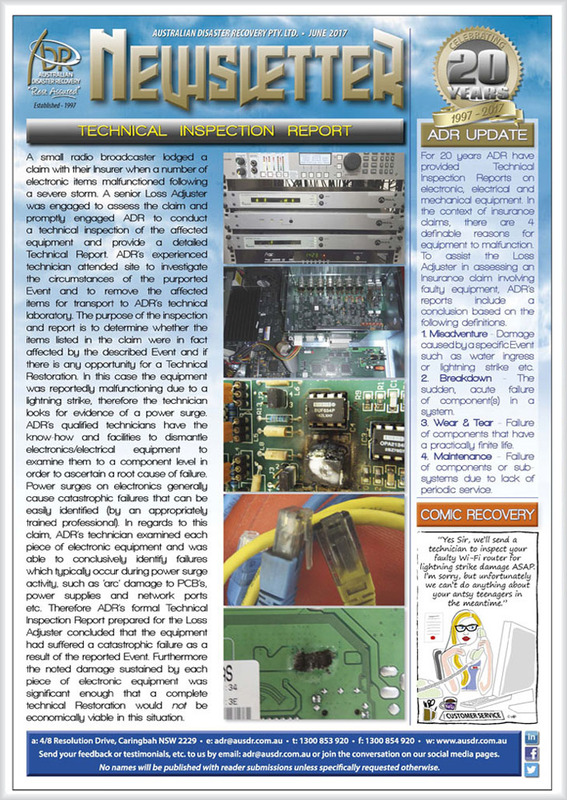 We also encourage our readers to submit questions, comments, testimonials or general feedback for the Newsletter. You can submit your comments etc by email to adr@ausdr.com.au. 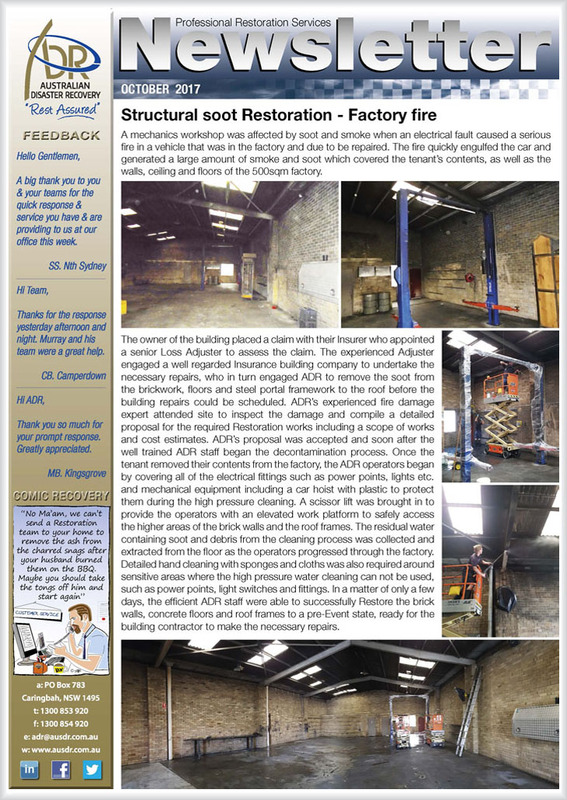 or use the ‘contact us’ form here. Reader submissions to the Newsletter will remain anonymous unless specifically requested otherwise. 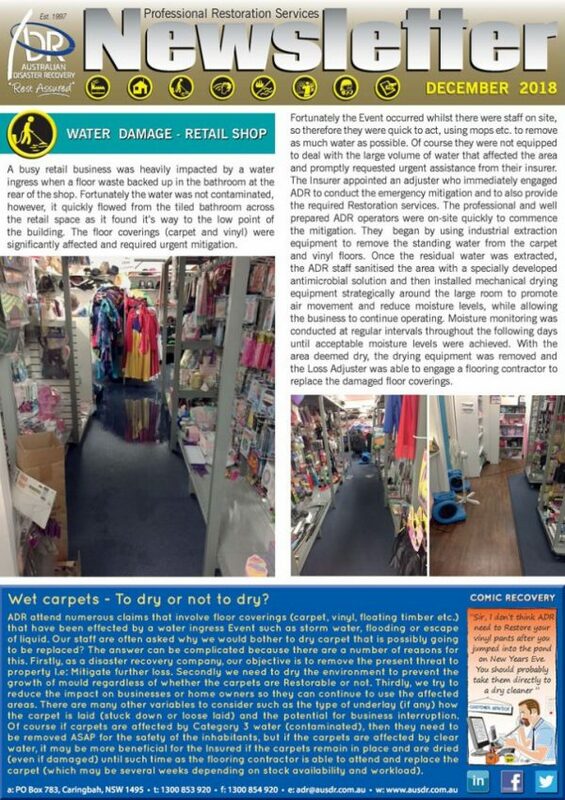 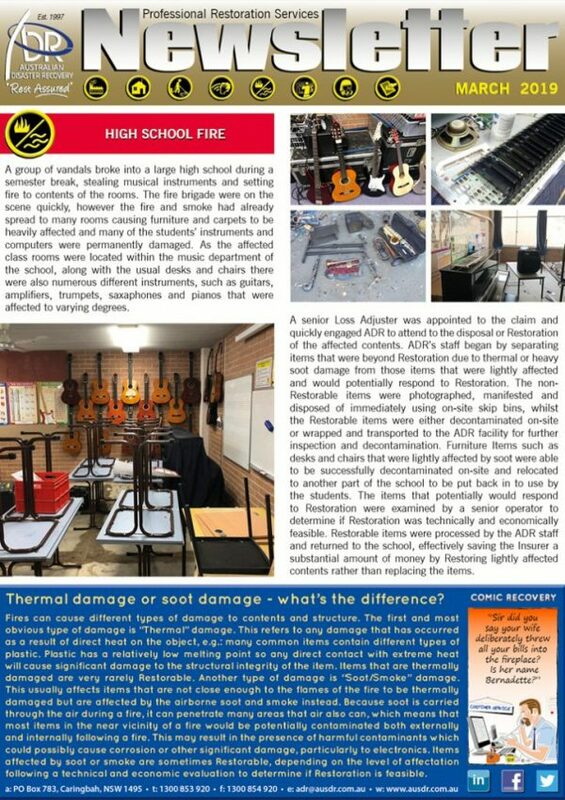 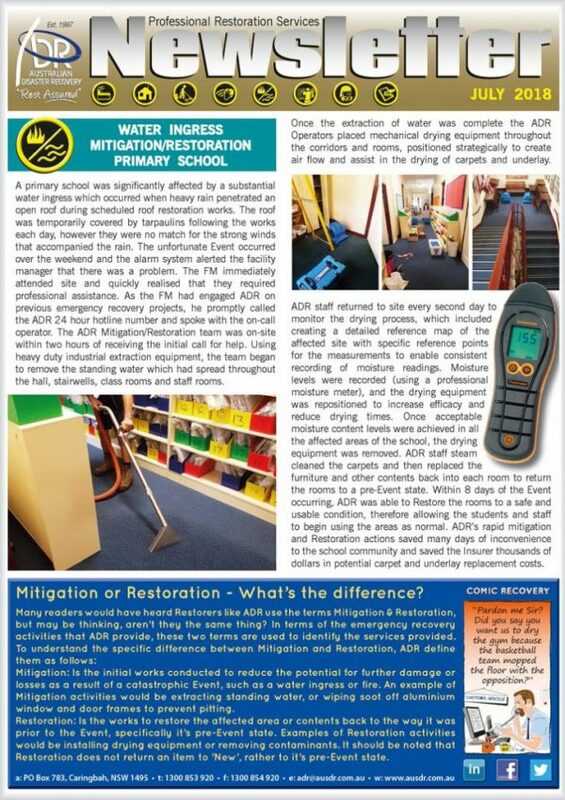 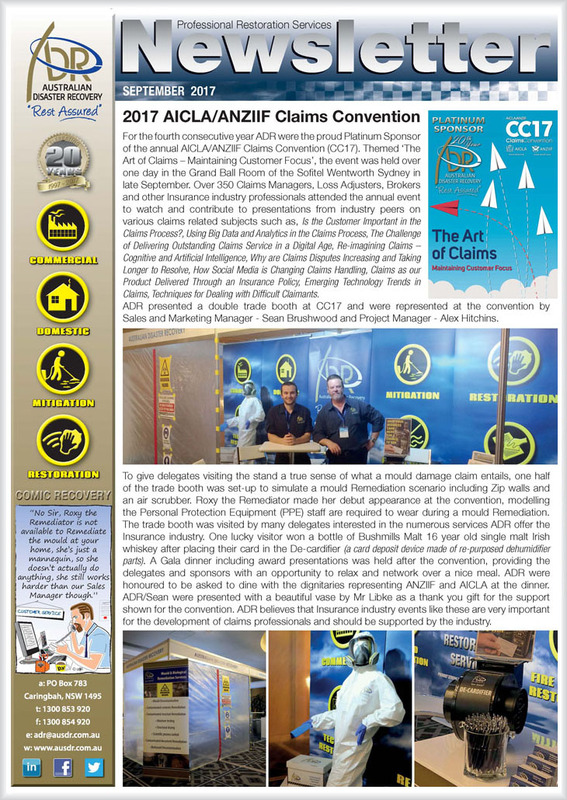 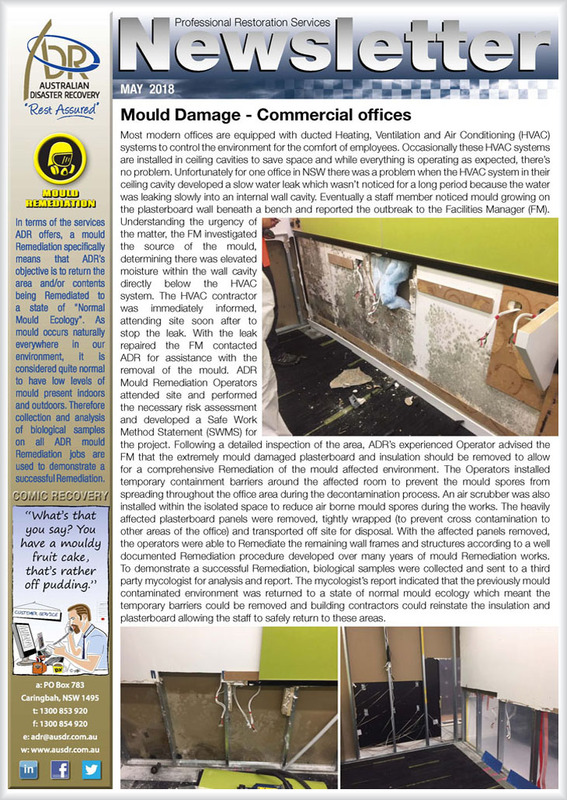 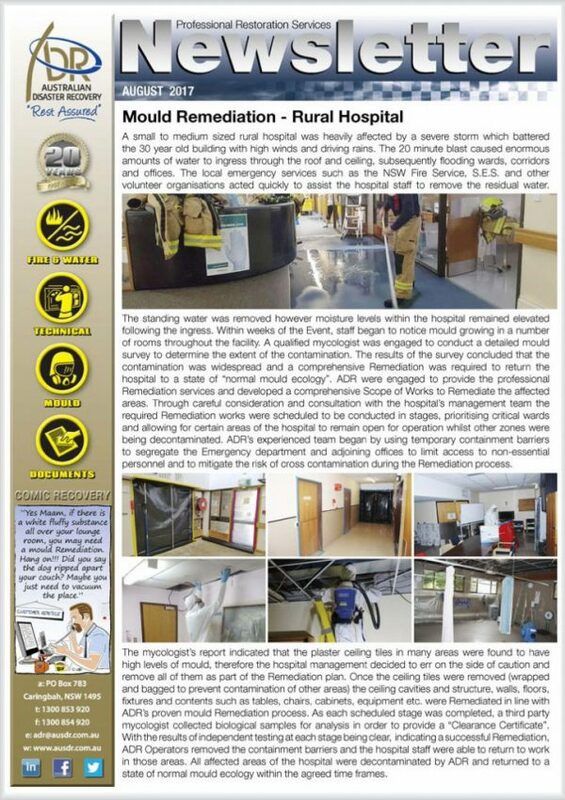 Please view our newsletter online or download a pdf version. 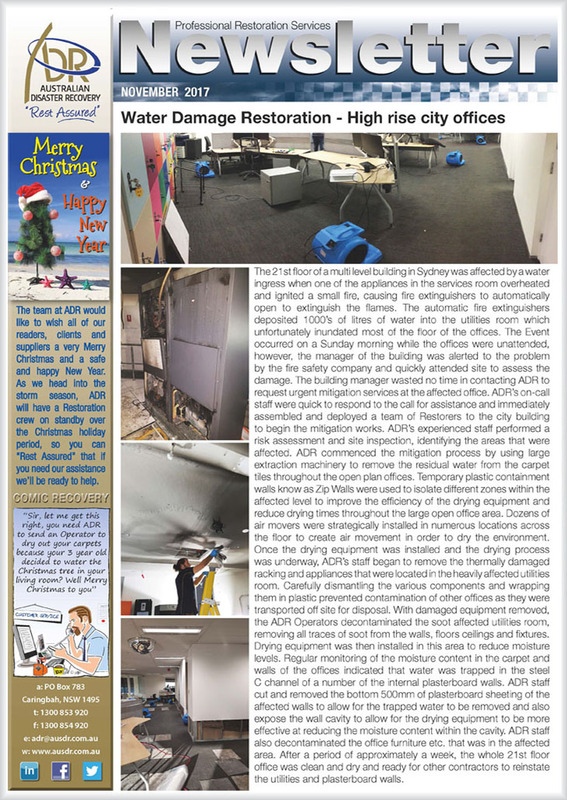 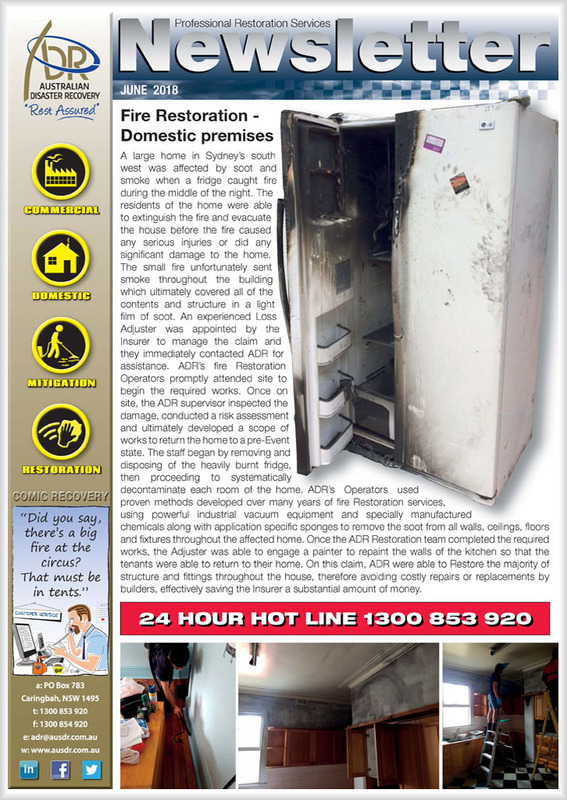 Australian Disaster Recovery (ADR) is a 100% Australian owned restoration company servicing the Insurance industry.